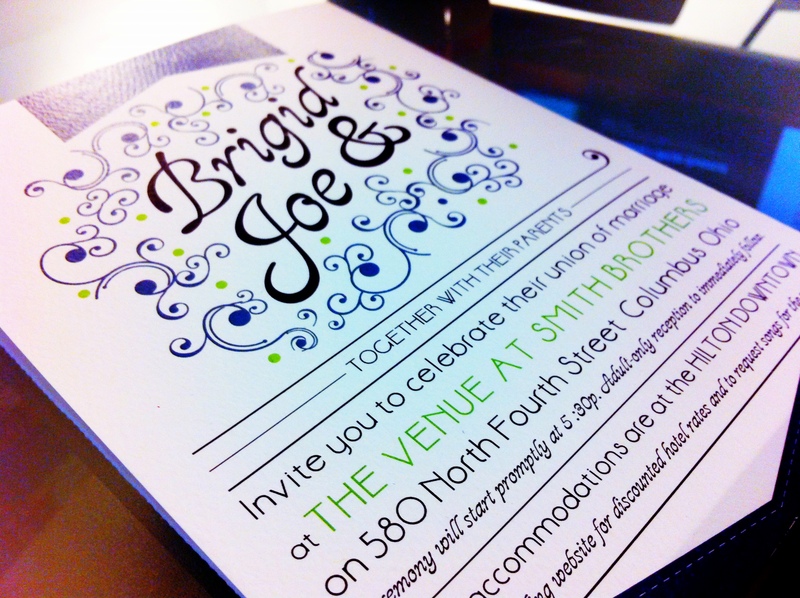 Wedding invite design. Tri-fold design, 1 score and 1 perf'd edge. Hand drawn map. 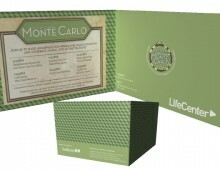 Save-the-Date and invite designed for the 7th Annual Monte Carlo event that helps raise money for the non-profit. Invitation opens up to reveal the events activities and a poker chip to be entered in for a drawing. Size: 7x5", standard A7 envelope. Designed under Topic Design.